Successfully Added Brinyte B158 LED Flashlight - 480Lumen, Takes 2400mA Battery, 5 Modes, IPX8, Zoom, Charger to your Shopping Cart. Get a reliable source of light for all your outdoor adventures with the Brinyte B158 LED Flashlight. With 480Lm, 5 modes, IP68 waterproof rating and a powerful rechargeable battery, it is sure to come in handy in a number of situations. With the Brinyte B158 LED Flashlight, you are getting a reliable outdoor companion that can accompany you anywhere. 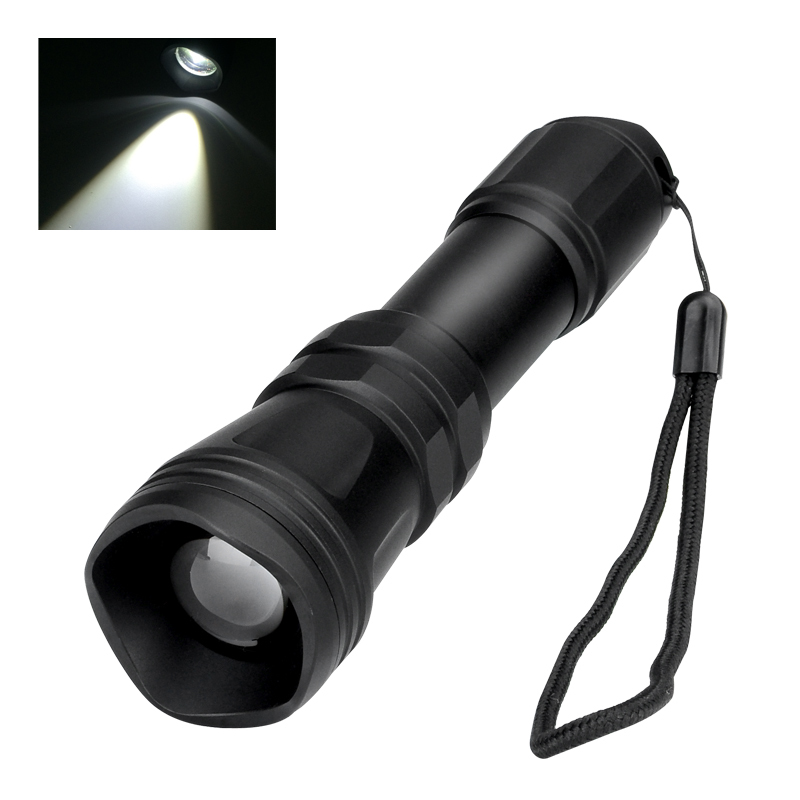 Compact, sturdy, with a non-slip design and lots of brightness, the flashlight is the perfect gadget for hikes, camping trips or a way out of a blackout. In addition to guiding you through the dark, the flashlight can double as a powerful self-defense tool. You can use it to illuminate dark alleys when coming home late and even shine in the face of an attacker to give you the time to get away. Moreover, the Brinyte B158 flashlight comes with crenellated bezels and can be used to fight back. The IP68 rating means that the flashlight boasts great resistance to the elements: it is totally dust tight and can even withstand water immersion. The flashlight comes with battery charger. The Brinyte B158 LED Flashlight comes with a 12 months warranty, brought to you by the leader in electronic devices as well as wholesale LED flashlights..